• 1/4"black numbers on LED display. 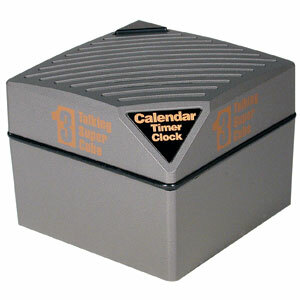 • Measures: 3"L x3"H x 2"W.
• Easy to use talking cube clock. • Alarm On/Off and LCD display. • Uses 2-“AA” batteries (Not included).